This episode is the epitome of My Real Portland. Individually they are a comedian, an activist, and a musician. Together, we put together a show that will entertain you, make you want to get up and move, laugh, cry, and sing along. Learn more about each guest! You can download the link below to listen whereever you’d like, or simply visit the homepage www.myrealportland.com for links to the podcast on most popular podcasting platforms/apps. That’s right My Real Portlanders! 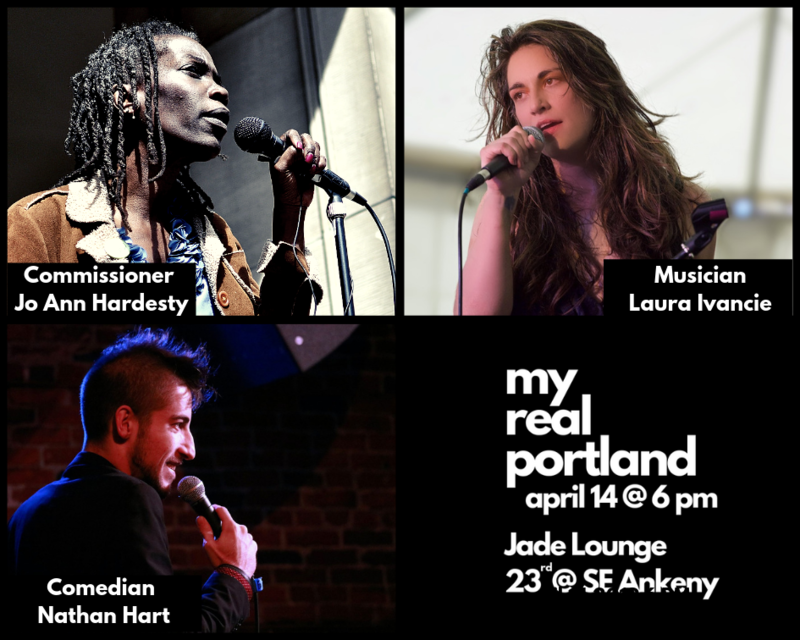 My Real Portland returns March 10th at the Jade Lounge at 6PM. Featuring Shrista Tyree, Barbara Dudley, and Mic Crenshaw! Jade Lounge is at 2342 SE Ankeny Street right next door to the Slide Inn. Happy Hour begins at 5:30 so get there early! My Real Portland - The Podcast episode 7 features Comedian Brooks, Theater maker Charmian Creagles, and Singer Songwriter Jonah Willbach! Plus Hoban and Eudaemone play MRP - The Game Show! Recorded live on October 9, 2018 at the Jade Lounge, 23rd and SE Ankeny in Portland. The July My Real Portland show features Comedian Joe Hieronymus, Musician Joe McKenzie, and Minority Retort CoHost and Podcaster Jason Lamb! Plus a game show, prizes, and silly fun!! Recorded Live at Jade Lounge, July 10th, 2018. The next episode records live at Jade Lounge, Tuesday August 14th, 2018 at 7 PM. Happy Hour at 6:30. 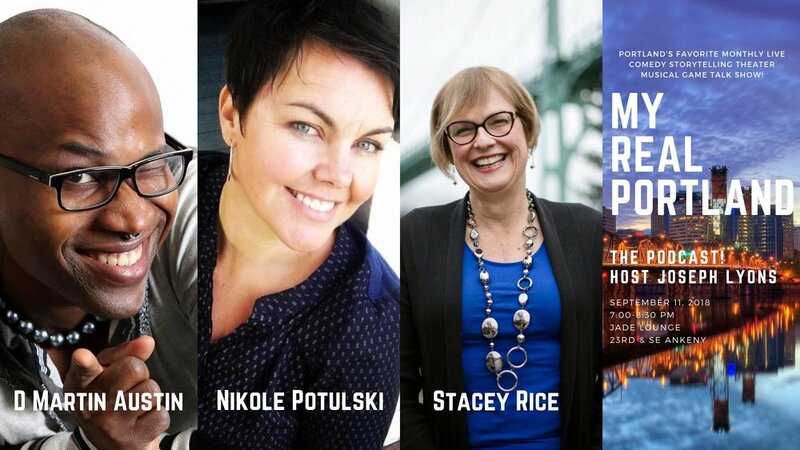 The June MRP show features Comedian Caitlin Weierhauser @UncleCait, Food Author Heather Arndt Anderson @voodoolily, and Urban Farmer and Actress Adrienne Flagg @chickenknickers! Plus a game show, prizes, and silly fun!! Recorded Live at Jade Lounge, June 11th, 2018. The next episode records live at Jade Lounge, Tuesday July 10th, 2018 at 7 PM. Happy Hour at 6:30.